Ed Charles enjoyed an 8 year career in the bigs taking the field for the Kansas City A's (1962-67) and the New York Mets (1967-69). 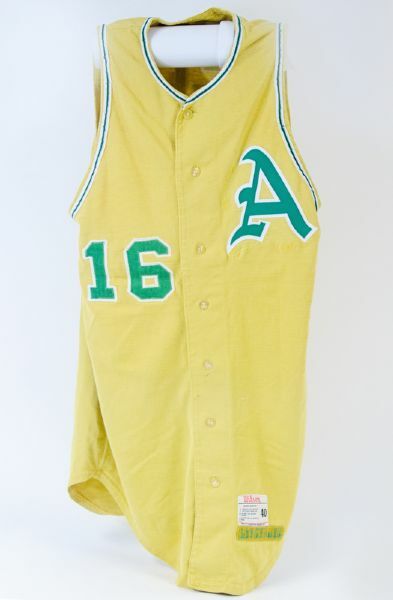 Charles wore this jersey while he was with the Kansas City A's in 1963. 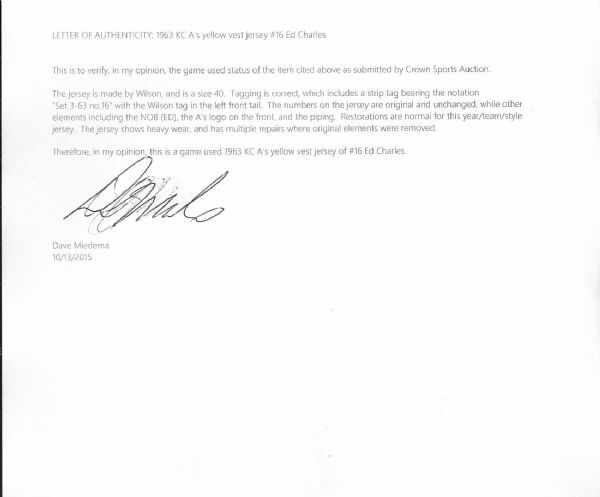 Nicknamed "The Glider" due to his play as a third baseman as well as his base running ability Charles has always been well remembered by fans in both cities that he played for. 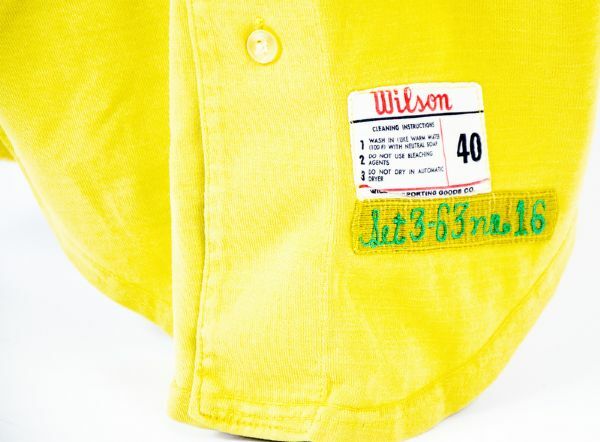 The numbers on front and back as well as the tagging and strip tag are all original to this stunning yellow vest. The pipping, front A, and NOB are all the work of quality restoration. 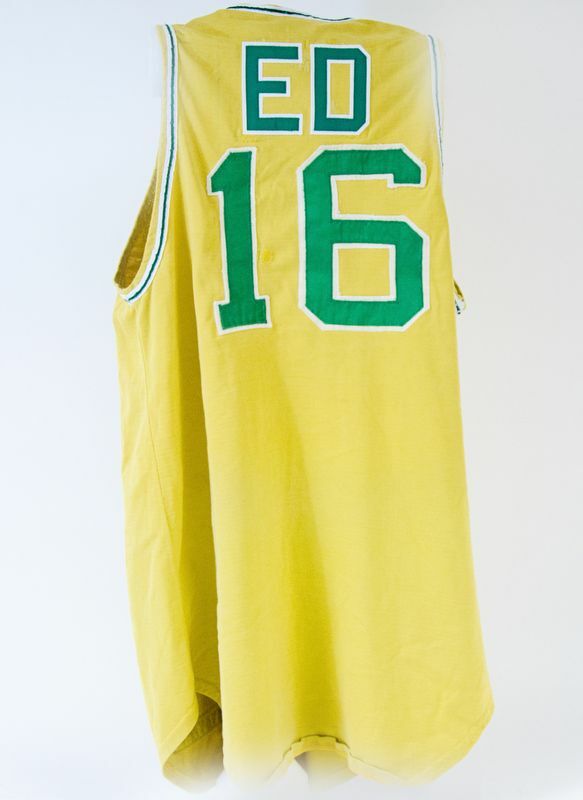 The jersey shows outstanding use and despite the before mentioned restorations is still a tough to find as well as highly desirable piece!!! Loa from jersey expert Dave Miedema accompanies this lot. 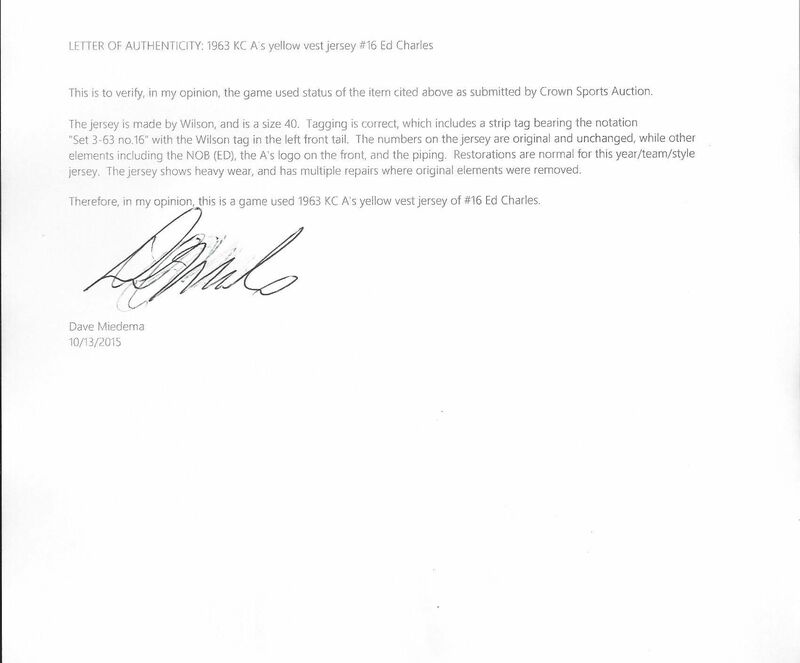 Auction closed on Saturday, December 5, 2015.